I made a little time yesterday to get my crafting mojo back. When I’m lacking inspiration, I find that playing with Liberty print helps to spark ideas. The beautiful colours and gorgeous floral and botanical prints means that whatever you make, no matter how simple, it’s practically guaranteed to look beautiful. 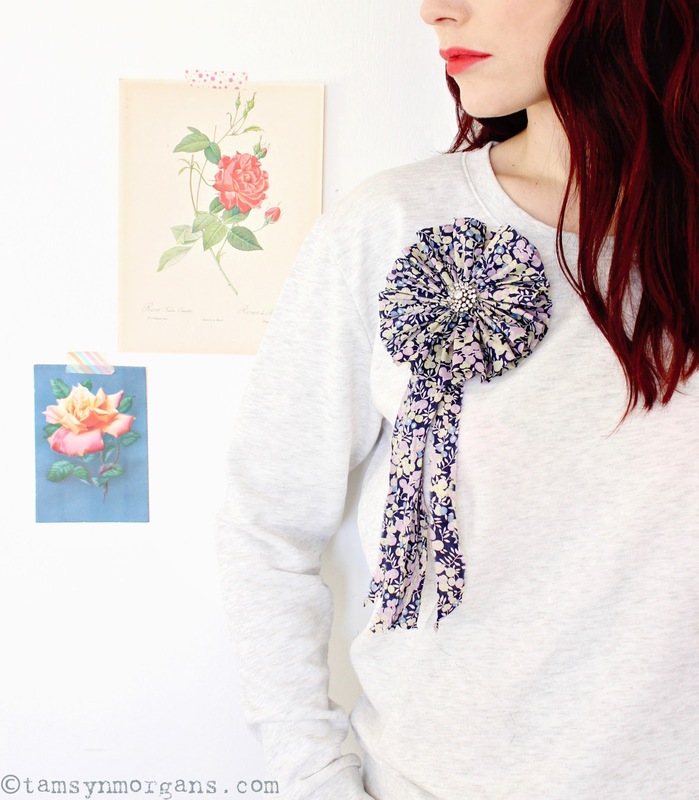 I love to wear a plain long sleeved top (this one is from H&M) and to dress it up with a statement necklace, so I decided to make a rosette brooch to pretty up a plain sweater. An hour later I’d managed to churn out two, which was very satisfying! 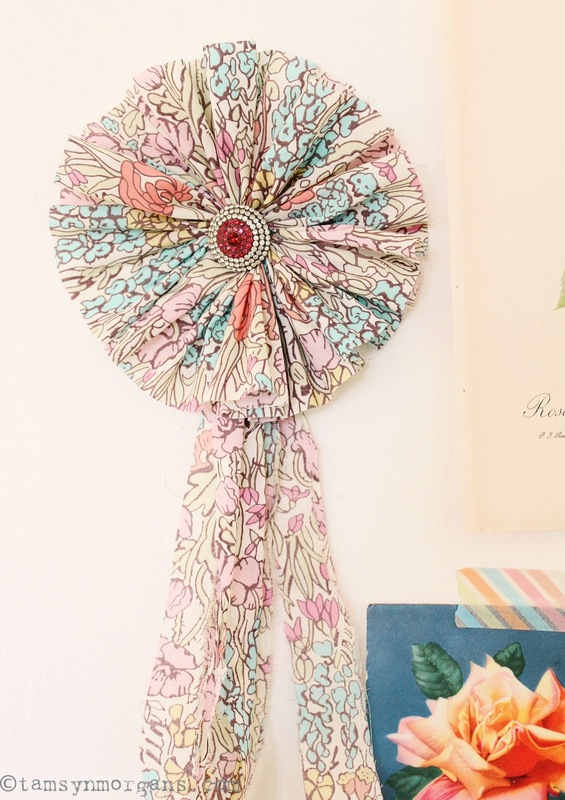 I’ve blogged about making these rosettes before you can see the post and tutorial here. 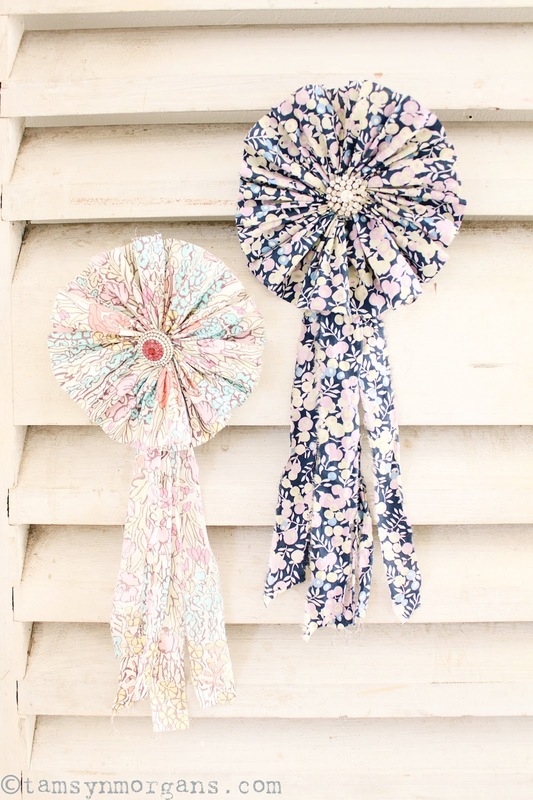 (As these rosettes are a lot smaller, and made from much thinner fabric, you just need to adjust the width of the strip of your fabric, and make the stitches a bit smaller, but the principle is the same.) 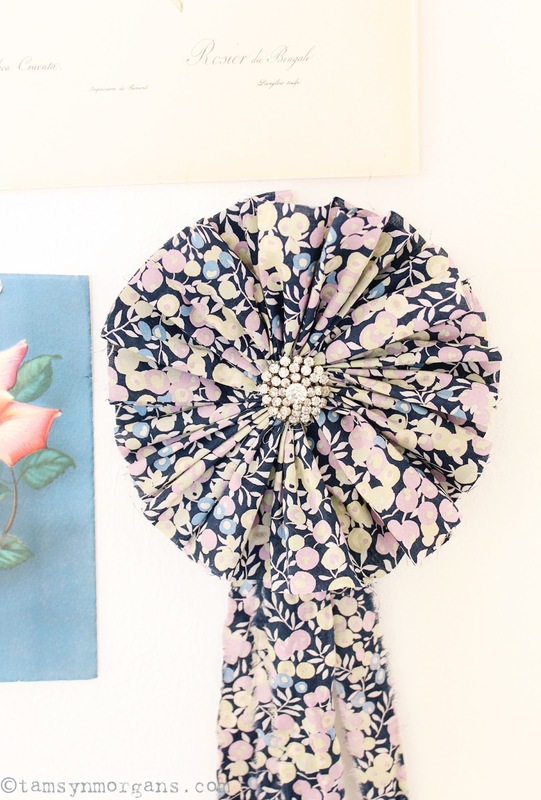 Sew a brooch back or safety pin to the back so you can use it as a brooch. 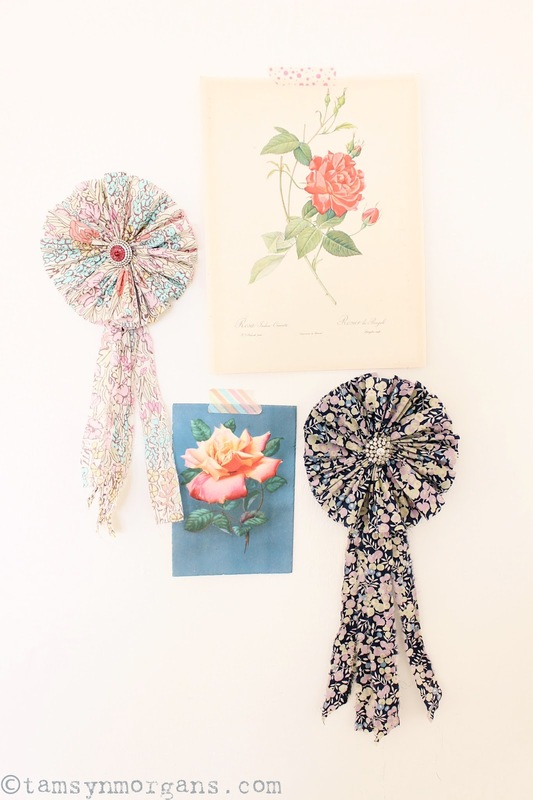 I decorated the middle of these rosettes with vintage sparkle in the form of diamante buttons – old brooches picked up from charity shops would also look lovely!